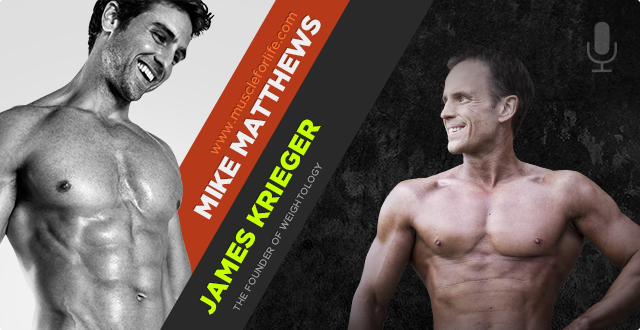 In this podcast I interview James Krieger from Weightology.net. James is a published scientist, author, and speaker, and someone whose work has really helped me better understand the fundamentals of losing fat, building muscle, and staying healthy. He has a knack for breaking down complex ideas and systems into easily digested morsels, which is what I strive to do in my work as well. So, in this interview, I pick James’s brain on the hot issue of eating grains. We’re hearing more and more that grains make us fatter, sicker, and dumber, but how true are these claims? Is wheat slowly killing us? Should we avoid gluten? Are some grains safer or better to eat than others? What about GMO crops? Should we worry about them? Well, James answers all of these questions and more, so if you’ve been wondering or worrying about your grain intake, then you definitely should listen to what he has to say. 3:04 – What is the state of grains and should we be worried about them? 7:25 – Is wheat bad? Has it changed over time due to genetic modification? 9:59 – Should we be worried about aflatoxin and methanol? 18:09 – What type of grains are best to choose from? 19:13 – Why do you pay attention to fiber intake? 21:13 – How about brown rice versus white rice? 25:16 – What other grain sources do you like to eat? 26:23 – What if you don’t do well with grains? 29:04 – Are there concerns with studies being misrepresented? 38:58 – What’s the deal with GMOs? 44:01 – Where can people find you and your projects/work? 5:57 – What is the state of grains and should we be worried about them? 10:18 – Is wheat bad? Has it changed over time due to genetic modification? 12:52 – Should we be worried about aflatoxin and methanol? 21:02 – What type of grains are best to choose from? 22:06 – Why do you pay attention to fiber intake? 24:06 – How about brown rice versus white rice? 28:09 – What other grain sources do you like to eat? 29:16 – What if you don’t do well with grains? 31:57 – Are there concerns with studies being misrepresented? 41:51 – What’s the deal with GMOs? 46:54 – Where can people find you and your projects/work?